The Single Touch Payroll (STP) legislation has passed through Parliament. It is law and is going to happen! 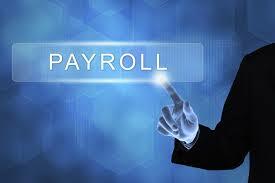 Who does Single Touch Payroll Apply To? All “substantial” employers, (more than 20 employees by headcount), must participate. The count happens as of 30 April each year. You must enter STP as of 1 July 2018. Anyone can elect to enter STP earlier. You submit payroll and superannuation data to the ATO each “PayEvent”. A PayEvent is each time you pay someone and should be generating a pay slip. Some of the data on the pay slip is now sent to the ATO. The year-to-date totals of gross wages and gross tax for each employee being paid. 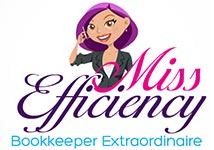 The amount of Superannuation Guarantee that has been accrued. Superannuation payment information is also sent at the time of paying your Superannuation Guarantee Contribution, (SGC). Your payroll software should do it all for you. If you do not have accounting software or internet, the ATO are considering other reporting mechanisms. The ATO is required to be ready to receive STP information as of 1 July 2017. Substantial employers must provide STP information from 1 July 2018. Other employers are not required to provide STP information at this time. Any employer can enter STP as soon as they are able. Why Is Single Touch Payroll Being Implemented? The ATO will gain greater visibility of all employers, enabling earlier activity to ensure the employer is paying their PAYGW and their SGC. The employer will not be required to provide payment summaries to their employees. The ATO will prefill tax returns with the payroll information. The ATO will make the payroll information available to employees all year through myGov. The ATO will streamline the process for a new employee by automating the Tax File Number Declaration and SuperChoice form into payroll software and myGov. The employer’s payroll records are the “source of truth”. Therefore, any amendments to past pays, or any fixes required are updated in the employer’s records and at the next PayEvent the ATO receive the updated information. There is no need to go back and amend past PayEvents. The employer will still have to “finalise” a payroll year by indicating to the ATO that the information they are now being sent is the final version and can be used for tax returns.